This salad is full of so much goodness. 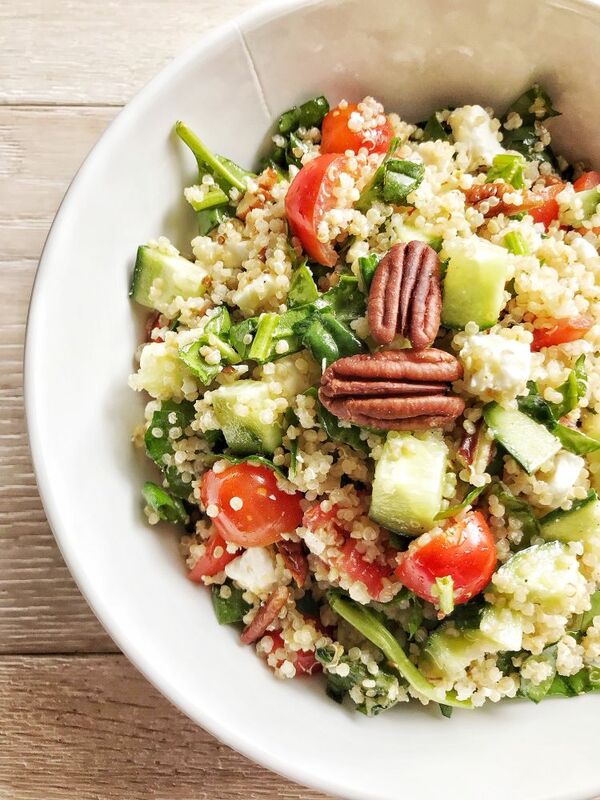 The sweet tomatoes, the crunchy cucumbers, the salty feta and the roasted pecans all work together to create a delicious meal or side that you can feel good about. The salad is dressed simply with a honey mustard vinaigrette. Make this vegan by omitting the feta. 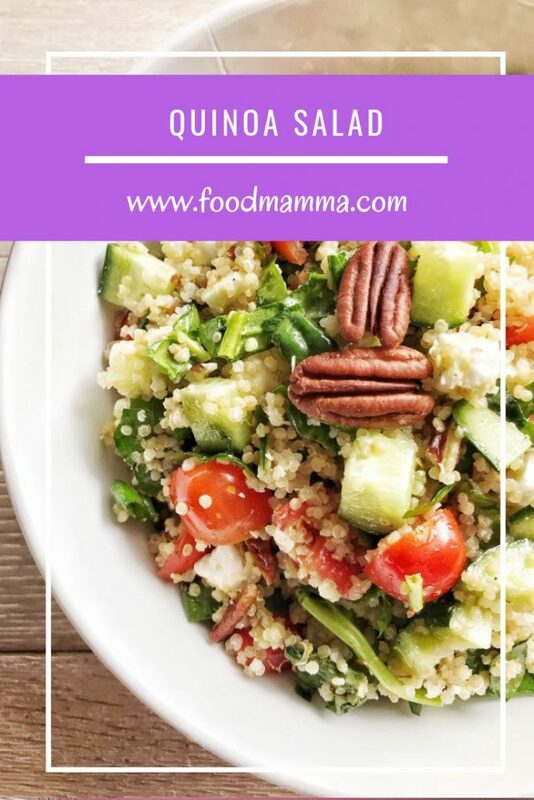 A fast and easy way to make perfectly cooked quinoa is in the Instant Pot. Click here to find out how. 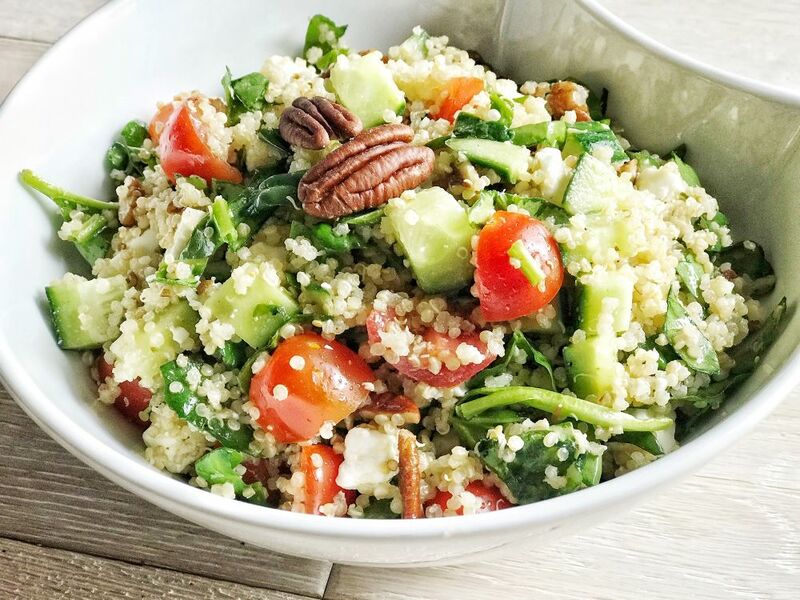 In a bowl, combine the quinoa, tomatoes, cucumbers, spinach, pecans and cheese. In a separate bowl, combine the items for the dressing and mix well. Add the dressing to the quinoa mixture and mix well.